Full Name: Ronald Boyd DeVoe, Jr. Nicknames: Alien, "just plain old 'Ron'", Big Ron, etc. Birthdate: November 17, 1967 Birthplace: Roxbury, Mass. Parents: Florence E. DeVoe and Ronald Boyd DeVoe, Sr. Siblings: Brothers- Robert "Money Walker" DeVoe, Roland "Rizzo Destroyer" DeVoe; stepsisters- Tonya Moss, Regina Moss Favorite Food: Seafood; Kraft Macaroni & Cheese, cream style corn, BBQ chicken, Jiffy Corn Bread Favorite Fruit: Oranges Favorite Drink: Ocean Spray- Cran Grape, Cran Apple Favorite Dessert: Banana pudding, vanilla ice cream Favorite Breakfast: Pancakes and eggs Favorite Sport: Basketball Favorite Car: Mercedes Favrorite Cities: Boston, LA, South Beach, London Favorite Actress: Angela Bassett Favorite Actors: Al Pacino, Robert DeNiro, Lawrence Fishborne Favorite Singers: Erykah Badu, Force MD's, Blue Magic, Stylistics; He would like to work with Method Man and the whole Wu-Tang family Favorite Animal: Rotwieler Favorite Colors: Black, Orange Favorite Bad Habit: Sleeping late Hobbies: Jet skiing, snow mobiling, horse back riding, remote control car racing Lucky Number: 7 Height: 6'0"
Ronnie DeVoe was born on November 17, 1967 to Florence and Ronald DeVoe, Sr. Ronnie has two younger brothers named Robert and Roland a.k.a. The Throwdown Twins and two stepsisters, Tonya and Regina Moss. Ronnie was the fifth member of New Edition. He was introduced to the group in 1980 by Brooke Payne, his uncle and New Edition's choreographer. Ronnie had been in a group called The Dramatics and was recruited to New Edition. Ronnie was such a bookworm as a child that when he joined New Edition, his mother exclaimed, "But he can't dance!" Once Ronnie began working with the group, his mother found out that he could actually dance very well. Ronnie is one of the best dancers of the group, and he has even choreographed Bell Biv DeVoe and some of New Edition's dance moves. Ronnie was the member of New Edition that always wanted to see New Edition as a cartoon. 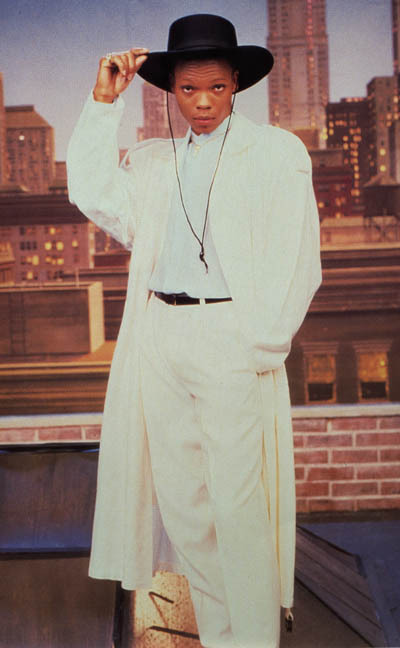 Although New Edition as a group never made a cartoon, Ronnie alone became one for a Good Girls video. In the video, he danced as both a real person and as a cartoon. Like the other members of New Edition, Ronnie is venturing into a solo career. Once saying, "I am very much looking forward to getting more involved in hip-hop. I'm always willing to listen to rappers when I have a chance," his debut solo album entitled "For You" is due out sometime next year. He has started his own company called Private Line, Inc. (PLI) and has already recorded songs with other artists. He made a special appearance on the song "Everyday" on an album by Tha Truth. He also rapped on the song "So Gentle" from the Johnny Gill album "Let's Get The Mood Right." Ronnie shot the video for "Heat It Up" in early 1998. "Heat It Up" will be the first single released from "For You" and supposedly has gotten airplay on several radio stations a number of times. Other songs on the album include "Cool It Down," "Film At Eleven," "Warriors," and "Dig Into Your Mental."